Accidents involving semi-trucks, also known as big rigs or 18-wheelers, are among the most tragic types of accidents we see, mainly due to the size and weight of the truck. Truck accidents often result in catastrophic injuries, permanent disability, and sometimes more than one fatality. Damages are high, and trucking companies will fiercely defend these cases. These large trucks typically weigh over 10,000 pounds. 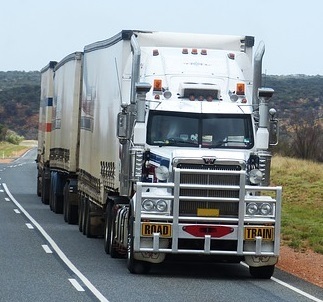 While their engines are much more powerful than a standard motor vehicle, they must also pull much more weight and take twice as much time and distance as a standard motor vehicle to stop. A motor vehicle traveling around 55 miles per hour may take about 130 to 140 feet to stop; larger trucks moving at the same speed may take up to 400 feet to stop. Due to the difference in stop times and excessive weight, accidents with large trucks can occur more frequently and cause more damage. In the United States, 3,852 people died in large truck accidents in 2015. To give you an idea of the size disadvantage passenger vehicles are at in these crashes, consider the fact that just 16 percent of those deaths were truckers, while 69 percent were occupants of the cars. These fatal crashes are becoming more common as well. The number of people killed in semi truck collisions was 22 percent higher in 2015 than in 2009. That’s the highest rate of deaths since 1979. There were 38 fatal crashes in Washington State involving commercial vehicles/heavy trucks. There were 6,091 collisions involving heavy trucks in Washington State, the second-most common type of roadway collision. 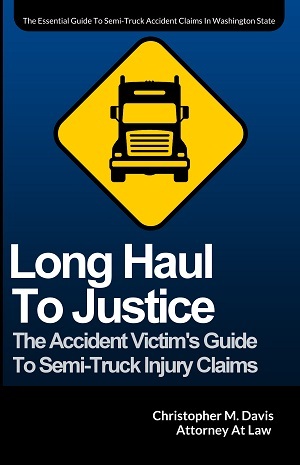 Semi trucks were involved in 85 serious injury collisions and 1,352 minor injury collisions. Weather conditions caused by rain, snow, sleet, or winds. If you or a loved one has been injured in a semi truck accident, it is imperative that you know your rights. Because semi trucks are generally owned by large corporations, they have attorneys and insurance adjustors vigorously defending the claim. It is important that you also have an expert on your side who is well-versed in personal injury law and is capable of getting the answers that you need. Thousands of people are involved in truck accidents every year in Washington state, and the severity of these accidents varies significantly. A qualified truck accident lawyer can help you better understand your legal rights after an accident and also help you determine if hiring an attorney would be in your best interests. For assistance with your semi truck accident case, call attorney Chris Davis of the Davis Law Group, P.S., at 206-727-4000 or contact us online for a free legal consultation. Mr. Davis has a great deal of experiencing with truck accident cases, and will evaluate your claim immediately.